Wee Nam Kee Hainanese Chicken Rice, chosen as the No.1 local food by Singaporean, was established in 1989 by Wee Toon Ouut as a family restaurant. This simple and traditional dish has evolved over 20 years into Nanyang-inspired cuisine, and it now became one of the most popular Hainanese restaurant in South East Asia. 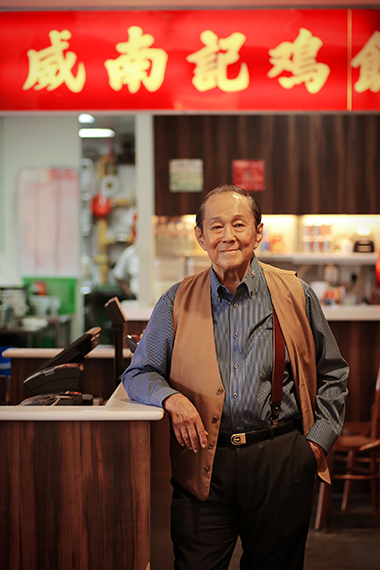 Its loyal customers including celebrities and Singaporean government officials that entertain their national guests by Wee Nam Kee's chicken rice. The restaurant is becoming more and more popular not just in the country but also extended outside Singapore. Today, Wee Nam Kee is opening its long-waited first outlet in Japan.